Avatar Session Tips: What Price Audio Expertise? Michael Porter, a renowned expert and scholar on competitive advantage and competitive strategy, states that an organization can compete either by differentiation or by price. To put it more simply, the question is do you want to be like Apple or like Walmart? If you continuously strive to offer a superior product, you can command a premium because you gain a devoted raving fan base of consumers. There is another economic principle called the law of supply and demand. If you look at professional studio services, history shows that there are now less studios operating. As I stated in an earlier post, studio rates have not really changed over the years. If anything, there seems to be an almost irrational rush to lower them. There are now alternatives, or what Porter may call substitute services, namely home studios powered by less expensive, feature rich modern "prosumer" audio gear. Yes, there is still a need for large spaces where people can play together and there is a need for a no-nonsense place where people can go record and get what they need done professionally. On the demand side, you can say that CD sales are down, labels are struggling and recording budgets are smaller. Yet, in the last six years, the number of recording releases per year has increased by leaps and bounds. In the U.S. in 2003, over 38,000 albums were released. In 2007, that number reached almost 80,000 (31% of that was digital releases)**. There are a lot of tools available now that make it easy to create and produce your own music. The volume of sales per any single release may be dropping (80% of releases sell less than 100 units) but the total amount of music being generated seems to be greater than any other time in history. The cumulative total number of SKUs in the U.S. is about half a million. The total number of SKUs handled by one record retailer’s system is about 16,000. You can begin to understand how logistically difficult it is to carry inventory that caters to a wide and diverse range of consumer tastes. With better tools and the Internet, it is the age of democratization of music making, filmmaking, broadcasting, news reporting, ...etc. If a work captures the imagination of the masses for whatever reason, it becomes a viral hit, even if it was produced on a shoestring budget. Whether a hit like that generates any sustainable business remains to be seen. Popularity aside, people can clearly tell if a program was professionally produced or done on a shoestring budget. Just because more money was spent on production, it does not equal or guarantee quality. A lot has to do with the core quality of the song, the story, the writing. But when all the stars align and the content and the presentation are both done with quality, then the end result may transcend the medium and become art. The other more troubling question is how much value is placed on art in general? With so much content being generated and assuming you can find a nugget in your Google gold pan, how long will the impression that song, book, movie, blog entry made on you last? Will you covet those items and go back and re-experience them again? Will it be relevant in 5 years, 10, even 50? Yes, there are a lot of technological and cultural factors that affect what we do. It affects the marketplace where we conduct our business. The sorry state of the economy is not helping either. Like any other profession, there is a value to expertise. If a business is run right, there is a value associated with that. If the user experience is superior, there is perceived value. Not all of this is tangible. How do you put a price tag on all of the above? Yes, the price is what the market can bear, what the customer is willing to pay, ...etc. Is an hour in the studio a commodity - one hour at Avatar is no different than an hour anywhere else - like a sack of potatoes? 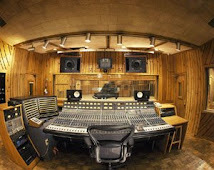 Is a better maintained studio worth an extra $25 per hour, a better trained staff who is attentive, competent and has pride in what they do an additional $5 per hour, an engineer who can successfully run your session and get a great sound no matter what the situation $15 per hour? We submit to you that there is a difference. If we did not believe it, we would be doing something else.